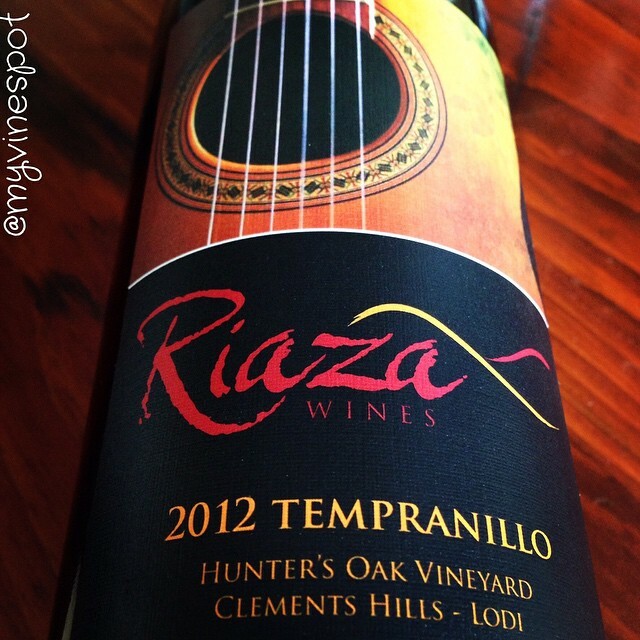 Today’s Quick Sip is Riaza Wines’ Hunter’s Oak Vineyard 2012 Tempranillo from the Clement Hills sub-appellation in southeastern Lodi. Riaza Wines is owned and operated by husband-wife duo, Erin and Rick Taylor. The winery is named after a small town [Riaza] the couple visited that is approximately 27 miles north of Madrid, Spain. Turning a ‘dinner table’ idea into reality, Erin and Rick launched Riaza Wines in 2008 with a focus on crafting small lots of Spanish-inspired wines from distinctive sites in Lodi, Clarksburg and the Sierra Foothills. In addition to this vintage, I have enjoyed the 2011, and both are pleasing wines reflective of the quality of fruit coming from Hunter’s Oak vineyard and Rick’s work in the cellar. This wine drinks well on its own, but is also a very nice bottle to enjoy with family and friends at the dinner table. I enjoyed a glass with a smoked brisket sandwich, pit-smoked beans, and a side of coleslaw. For further information and where you can find this delicious Lodi Tempranillo, please see my tasting notes below. If you’re in or near Lodi, check out Riaza Wines’ downtown tasting room.